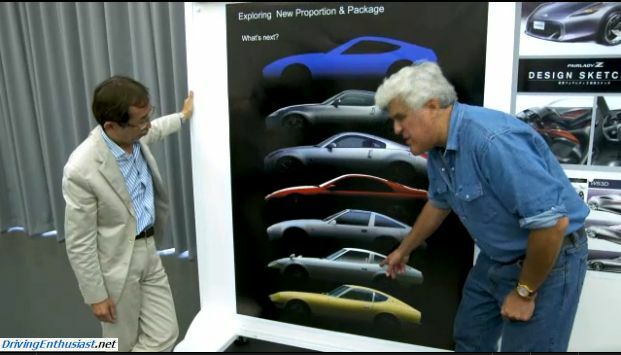 Jay Leno recently visited the Nissan design studio in Japan, where he met with Chief Creative Officer Shiro Nakamura and found designers hard at work styling the next Z. 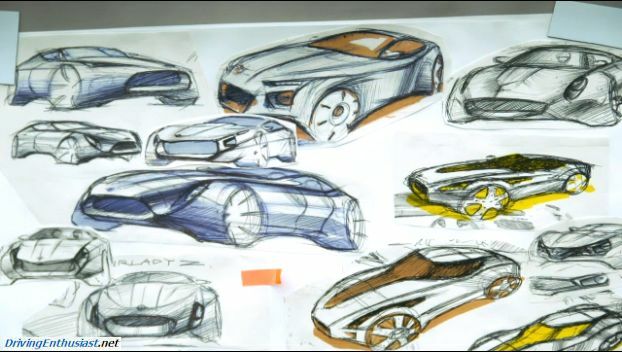 The Z is clearly in the design phase where hundreds of drawings will be made and final styling elements will be selected. That probably puts the timeframe of the debut out 2-3 years… depending on which platform will be used. If it will again be shared with the upcoming Q50, then sooner. Otherwise later. Looking over all the drawings and video below, and knowing how the process works, we note that the basic proportions are all nearly identical – so it’s clear that the chassis underneath and the resulting hard points have in general been determined. And it’s clear that a return to the proportions and styling cues of the original 240Z is the plan! Our hope: the proportions of the original Z, and a rear side window that is actually functional. We don’t like sitting inside the “cave” of our current Z, unable to see to the sides or the back. Z35 Concept compared to present and older Zs – note that the blue car at the top is the general outline of the upcoming Z35. Note the proportions of the original Z, and that the windshield is set further back. 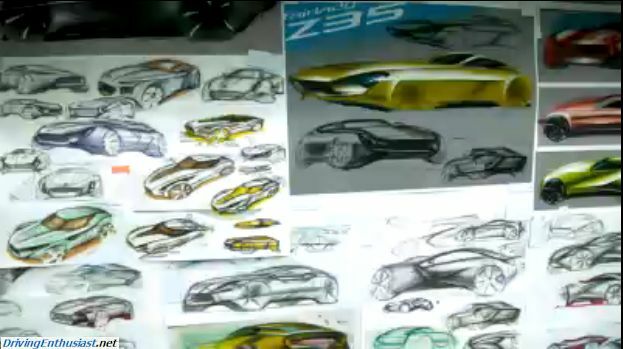 Note that the drawings immediately behind Jay are of the *current* Z.
Z35 Concept Drawings. All have the classic Z proportions, with A long hood and large side windows. Some put special emphasis into the headlights, as in the original Z.
Z35 Concept Drawings. Remember that these drawings are purposefully exaggerated, so that competing styling elements can be introduced and evaluated. Jay in the Z styling studio!